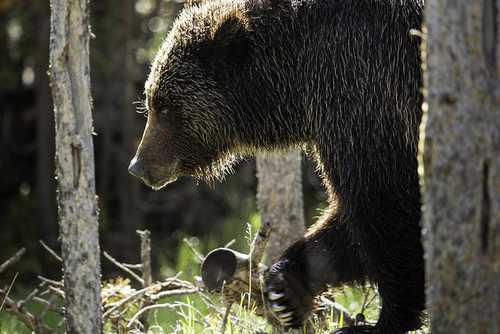 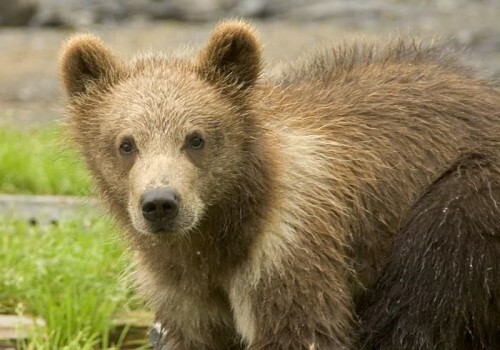 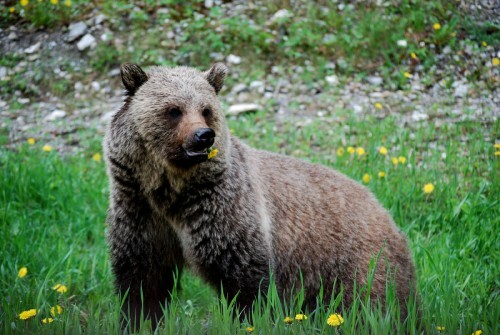 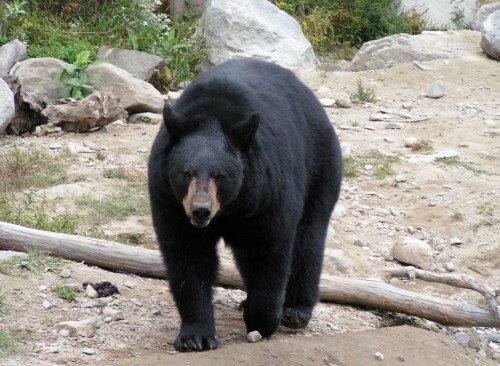 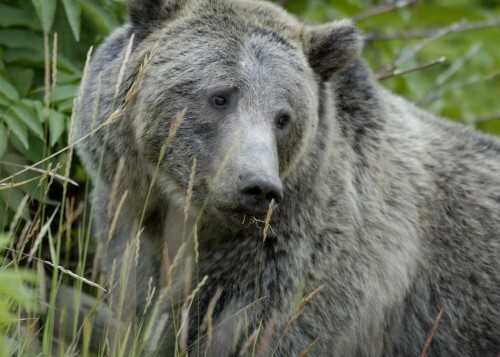 Your search for Common "Bear" resulted in 14 records. 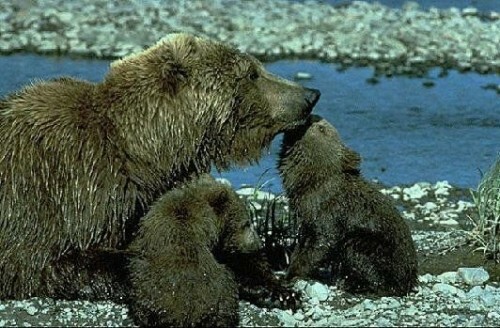 Description: A grizzly bear uses its strong jaws to break through bones in a dead bison. 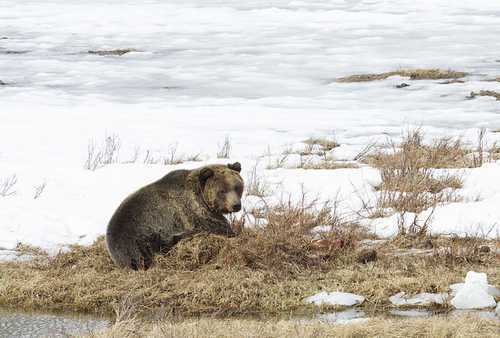 Description: Two grizzly bears feed on a bison carcass, pausing to roar at each other. 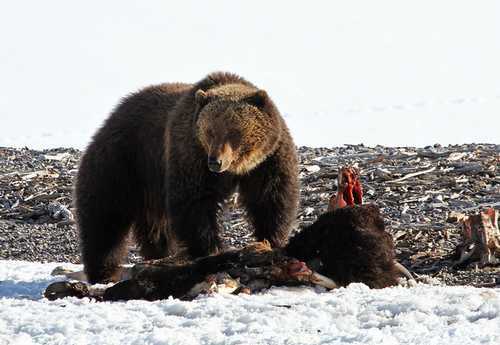 Description: A grizzly bear gorges on the innards of a bison carcass. 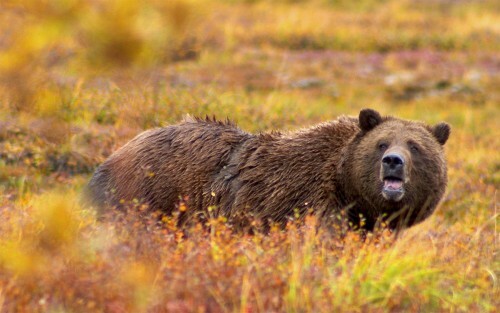 Description: Grizzly bear at rest breathing. 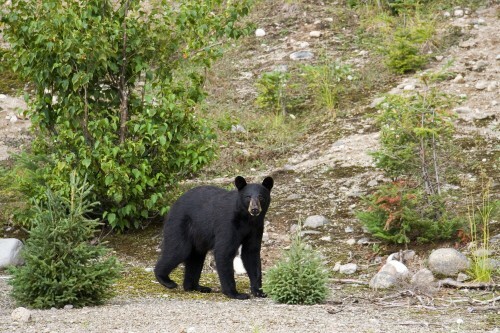 Description: A Bear urinates as a jet flies over Pebble Creek.